The latest update of the VBG website presents the status of work on Glattalbahn. The schedule has been set back slightly by the exceptionally fierce winter. The target is now that test running will begin in early October for an opening as planned in December. Work is now in full swing on laying tracks, placing masts for the overhead and preparing the communication systems and stops. The section of Thurgauerstr. in Opfikon along which the Glattalbahn will run will be given a more urban feel by the planting of trees and additional zebra crossings. The Stelze tunnel (which the Glattalbahn will use between Lindbergh-Platz and Bhf. Glattbrugg, so crossing motorway and railway line) will be built by cut-and-cover. At Balsberg, a 600m long viaduct is to be built. The contract for this has been awarded and construction should be complete in late 2007. At 12.5MCHF, the price is considerably lower than the 16MCHF budgeted. At the airport passenger entrance, Glattalbahn will be integrated into the existing bus station. Changes in the operations of the airport mean that the number of additional stops for airport staff can be cut from two to one. See also: Stadtbahn Glattal described in Zürich: A city and its trams (2005). 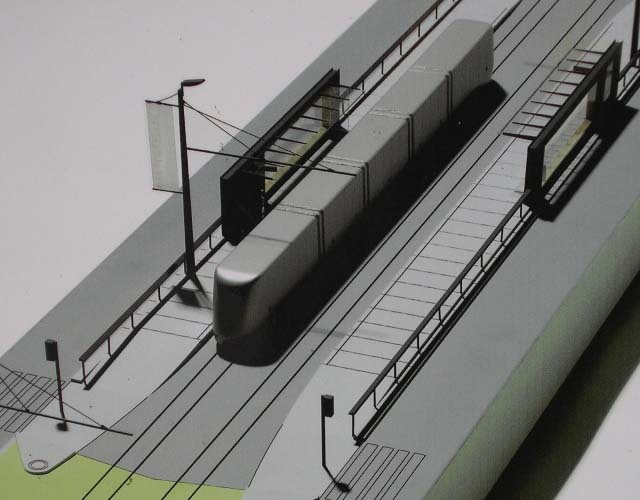 A note on nomenclature: The official name of this project is Stadtbahn Glattal. In the past this website has adhered to this name. However, the media and even official documentation increasingly makes use of the easier term Glattalbahn. Strictly speaking, the latter usage is incorrect as it formally refers to the SBB railway line to Uster. This website, as a concession to this shift uses the latter albeit incorrect term in its present context.